If you live within the blue shaded areas on the map above, your home or business is located in our service area. 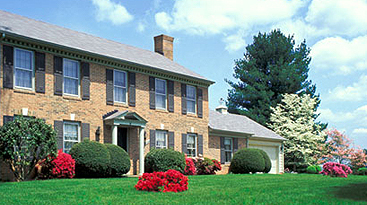 Click here to schedule a service call with one of our professionals. 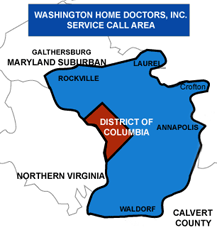 Washington Home Doctors, Inc. is a fully licensed residential and commercial plumbing - heating & air conditioning - home improvement - remodeling and general construction company based in Prince George's County, Maryland. 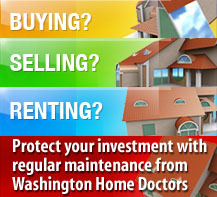 "We had a wonderful experience with Washington Home Doctors. Earl, who installed our bathroom vent fan, did a wonderful job, was extremely friendly, and is a true asset to your company! I would rate you a 5 - excellent - on all of the above." 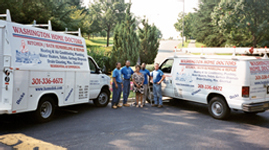 "We have received service several times from Washington Home Doctors and every time the Craftsman have been very professional, efficient and have performed quality work. I'm sure we will be calling again in the future. "